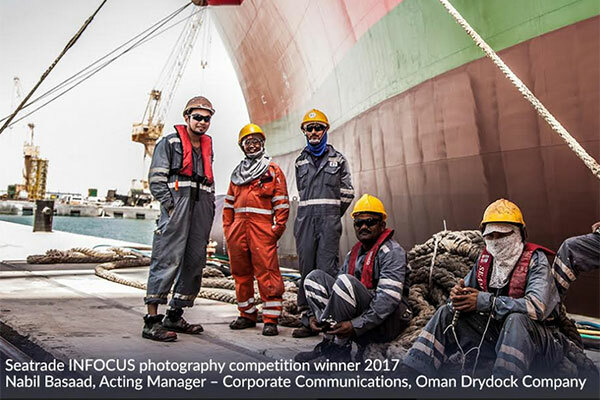 The second edition of the Seatrade INFOCUS Photography Competition, held in conjunction with Seatrade Maritime Middle East, is inviting amateur photographers from across the globe to submit entries for participation. Under the first category, contestants can submit original photographs of a ship, an offshore service vessel (OSV) or a workboat, which could be either the whole vessel or part of its structure or components – either at sea or docked at port. Entries under the Human Element category must feature a person or people as the subject, either on-shore or at sea. Contestants can submit up to five shots in their preferred category or up to five images in each. A judging panel, headed by Bob Jaques, the editor of Seatrade Maritime Review, will then shortlist 10 finalists, five from each category. The 10 shortlisted entries of INFOCUS Photography Competition2018 will be displayed at Seatrade Maritime Middle East exhibition in Dubai from October 29 to 31, where visitors to the exhibition will vote for their favourite image. The final winner will be announced on the last day of the exhibition.